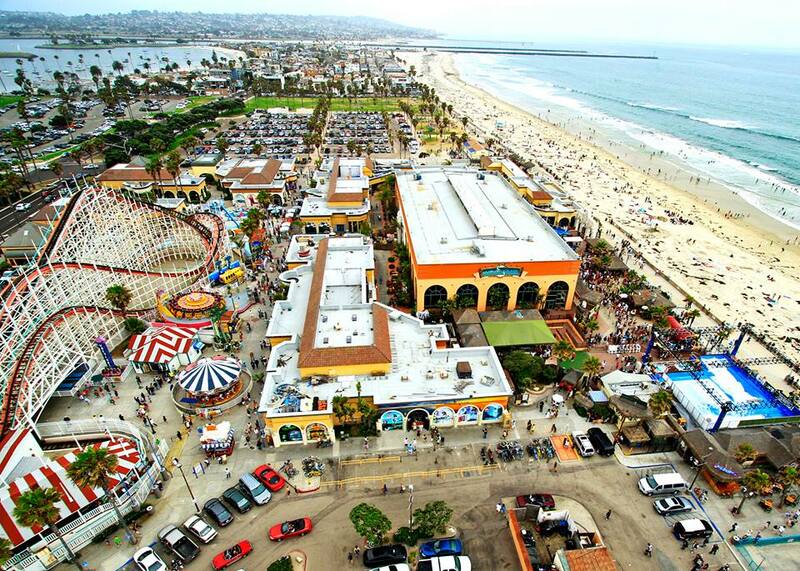 The San Diego City Council on Monday approved an amended lease for Belmont Park, the Mission Beach amusement facility that includes a wooden roller coaster, the Plunge pool, shops and eateries — despite the threat of a lawsuit. The 7.2-acre park is currently subject to a 50-year lease that runs through 2038. The proposal amends and restates the terms with Rancho Santa Fe- based Pacifica Enterprises and includes potential extensions. The company, doing business as Symphony Asset Pool XVI LLC, foreclosed on the previous owner in November 2012. Chris Wahl, representing Pacifica, told the council that the company has spent around $29 million to upgrade the property. A new rooftop restaurant opened last week, and the Plunge pool and the building that houses it will undergo renovations that could cost $5.9 million. “They really firmly believed in this facility, felt like it’s an opportunity to improve an historic site and I think, in this case, have really put their money where their mouth is,” Wahl said. The restated lease came before the City Council last September, but it was returned to staff so they could address issues involving the Plunge. The city will receive annual rent of $900,000 to $1.1 million, with at least $415,000 winding up in the city’s general fund — which pays for basic expenses like public safety and libraries. The deal also calls for annual rent increases of 2.5 percent. Councilwoman Lorie Zapf, who represents the beach communities, said the final agreement is good for all sides — including residents. Some opponents contended that the city wasn’t getting as much money as it could. Zapf said the bigger picture shows increases in the number of jobs and, for the city, sales tax revenue. Earlier in the day, lawyer Cory Briggs sent a memo to Mayor Kevin Faulconer and the City Council, contending the lease violates a section of the City Charter, the California Coastal Act and California Environmental Quality Act. In the memo, he said an unspecified client would have no choice but to sue if the amended lease was approved. A memo last week from the City Attorney’s Office acknowledged that the agreement carried some legal risk. During the hearing, Deputy City Attorney Leslie FitzGerald asked staff a series of questions that were designed to strengthen the city’s case. The lease passed on a 7-2 vote. Councilman David Alvarez cited the legal risk for casting a dissenting vote, and council President Sherri Lightner voted against the lease because of objections to some other issues.